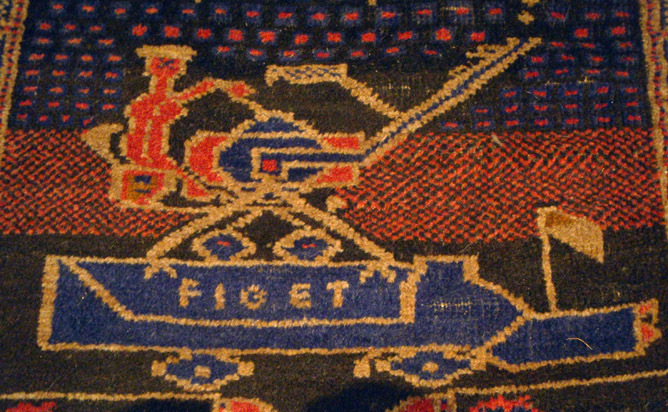 Mistakes abound in the insertion of Roman text into the many different categories of war carpets. Just as those who don’t speak the indigenous language see embedded Farsi text as a kind of abstract calligraphy, so the arrival of signs and logos in Roman script into Afghan visual culture must appear as alien abstract symbols to the designer/makers of these innovative rugs and carpets. In this case the jet planes (bombs?) 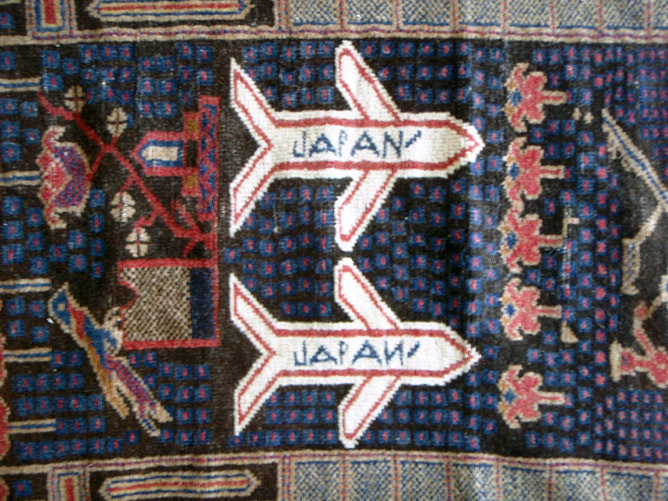 central to this design are emblazoned with the word “JAPAN”, while the truck with the anti-aircraft gun is labelled with the word “FIGET”. To the left and right of the carpet are lines of scrambled text, which often suggests that the particular carpet is a copy of a copy of the original, or a copy made from memory. 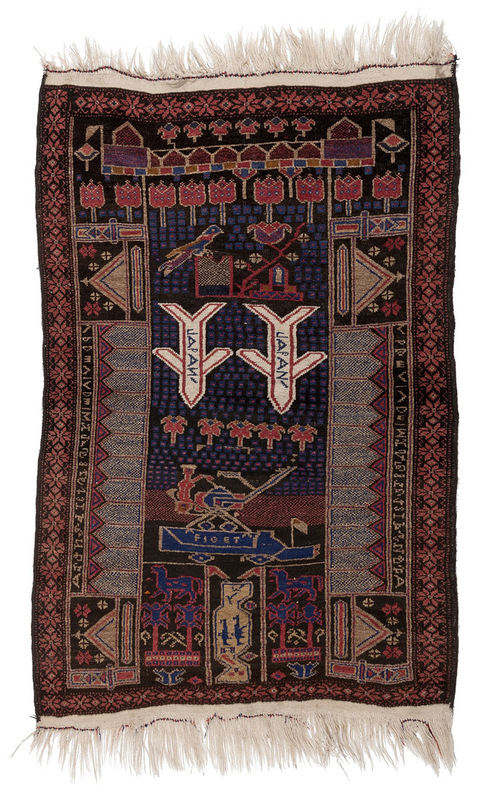 This particular carpet is unusual in almost every aspect of its iconography. Its provenance is also interesting. 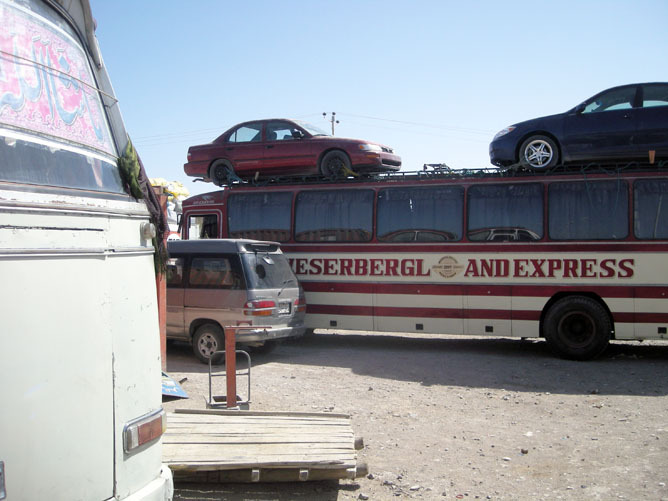 It was bought in 1990 from a traveling rug dealer in Launceston, Tasmania, which is almost as far from the war in Afghanistan as you can imagine. Other misliterations are quite comical, to outside eyes. 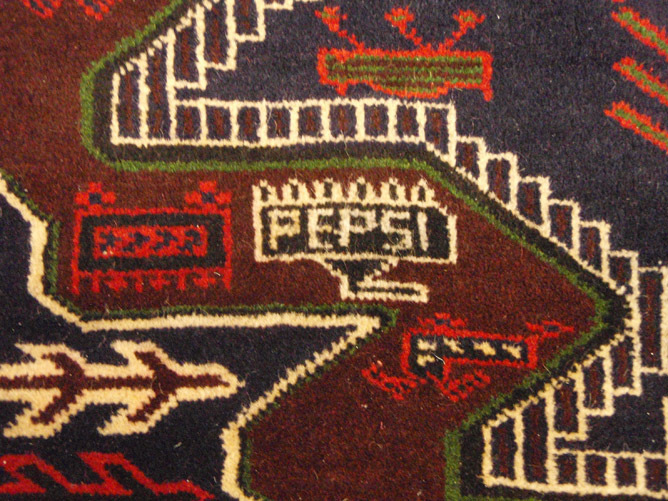 Here’s a PEPSI tank (upside down) on a Khyber Pass rug.